Discover the wonders of two beautiful cities, in a single day, on this Aveiro and Coimbra Beauty and History Tour. You’ll learn invaluable historical information from your guide, and travel with ease on a comfortable air-conditioned minivan. Take the stress out of navigating and enjoy a day where everything is planned for you. 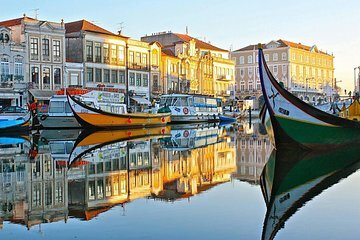 Highlights include Aveiro’s canals, Aveiro Cathedral, the Costa Nova Beach, University of Coimbra, and the Convent of Santa Clara.